The Nike Run AW84 Hat elevates a classic with lightweight mesh on the top and sides for added breathability. Its sweat-wicking fabric helps keep you dry and comfortable so you can focus on your pace, forget about what you're wearing and feel the air. COVERAGE THAT FEELS LIKE AIR. 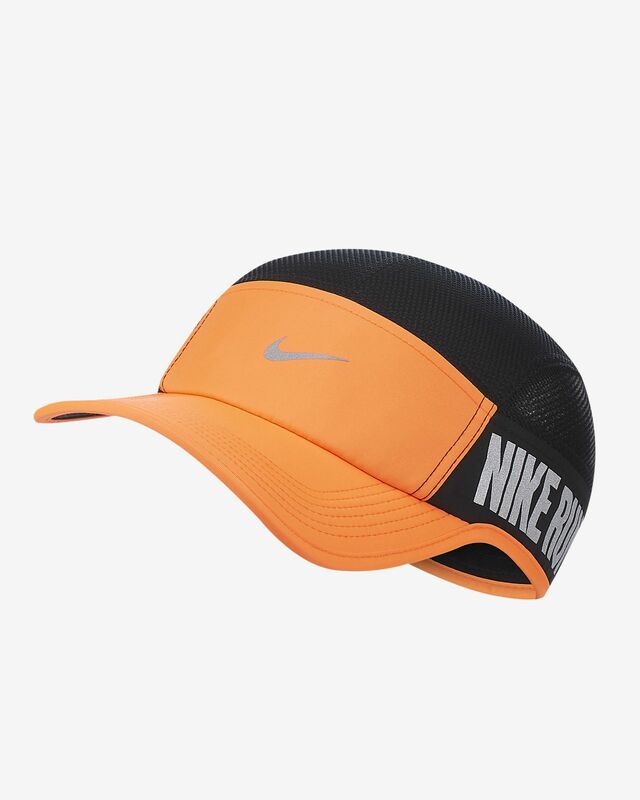 The Nike Run AW84 Hat elevates a classic with lightweight mesh on the top and sides for added breathability. Its sweat-wicking fabric helps keep you dry and comfortable so you can focus on your pace, forget about what you&apos;re wearing and feel the air. Stretchy fabric lets you move freely. Mesh on the top and sides adds breathability. Bold, reflective "NIKE" graphic helps you stand out from the crowds. Adjustable back closure for a personalized fit. Have your say. Be the first to review the Nike Run AW84.